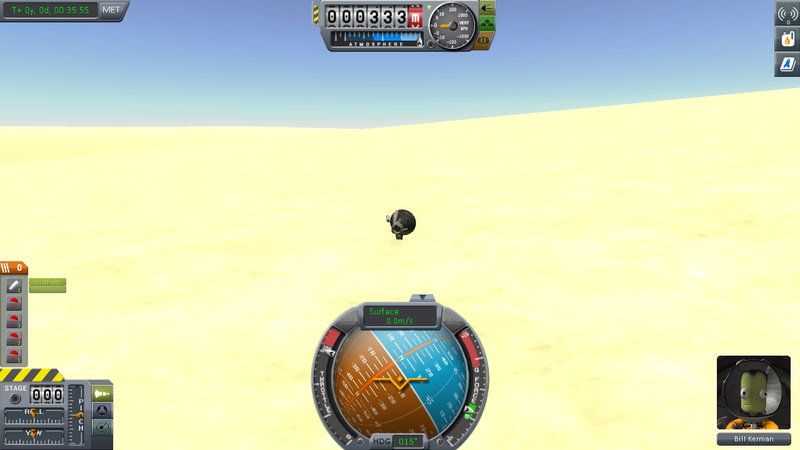 Memorial: Valentina was a brave kerbal, who wanted nothing more than to go where no other kerbal has gone before. Even in her final moments, the in-flight cameras caught her with a giant grin on her face, knowing that her death would be the base for even greater space operations. While she will be missed, we at Muraleo Inc refuse to let her death put an end to the dreams which Valentina stood for, and will continue to send fearless kerbals where dreams of greatness come true. Flight Summary: The majority of the flight went off without a hitch. Our biggest concerns stem from reentry into the atmosphere, and ensuring that we have enough fuel to counteract gravity as we decrease altitude. In addition, it may be beneficial to keep the flight in low orbit, so as to reduce the change in velocity during reentry. Future Strategy: For our next flight, we will be adding more parachutes with a greater speed tolerance, as well as several radially mounted solid fuel thrusters in order to slow down the flight on reentry, assuming it is falling too quickly when the liquid fuel runs out. Our hope is that this will keep our pilot intact long enough for us to treat any injuries accrued over the flight. Summary: Launch and height gain were successful and went without a hitch. 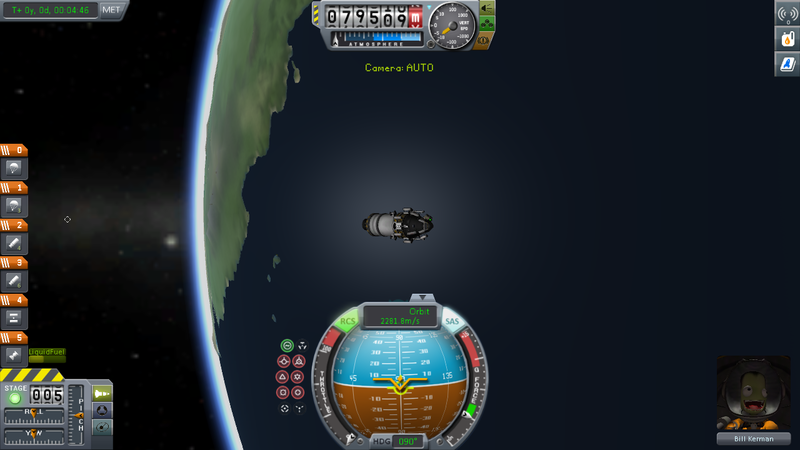 Once at a suitable height, we chose 80km, stage 2 was used along with stage 3 to achieve orbit. This orbit was at the same altitude, with a 4km deviation from 80km altitude (82-78). Once over land, the 3rd stage was used to exit orbit back into the atmosphere, where a use of some thrust allowed the ship not to burn up in the atmosphere. 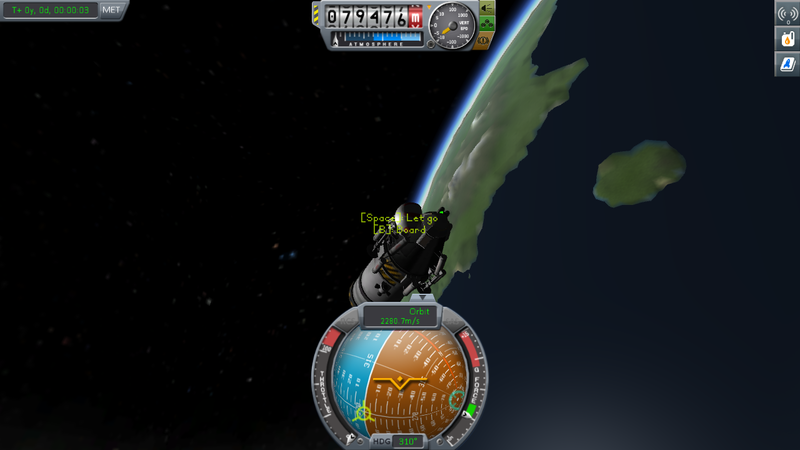 Once stage 3 was out of fuel, it was jettisoned and just the pod with it's emergency thrusters and parachutes remained. The pod continued to fall for a while before the first set of "slow down" thrusters were activated, slowing the pod down to a speed where drouge chutes could be used. These slowed the pod down to 25 m/s until very close to the ground, where the main parachute was deployed. The chute was deployed a bit late and wasn't going to open before impact, so the final set of emergency thrusters were used to slow the crash landing. This was successful, and the pod survived the landing, with Bill (somehow) unharmed. Learnings: The emergency thrusters were absolutely a good idea, and used alongside drogue chutes, they can make the absolute safest method of landing a ship after a fast re-entry. Project Timeline: Our next project will likely be to get a small satellite into a stable orbit, as that won't be too difficult and let us learn a bit more about the different parts of the game. I would also highly recommend looking a bit more deeply into how to use parachutes / separate the command module from the rest of the rocket. Additional fuel / rockets should not be required for safe re-entry. Design Goals: Rocket designed to exit atmosphere and enter Low-Kerbin Orbit. The second stage will then be used to conduct a Hohmann Transfer to enter Keosynchronous orbit, and remaining fuel used to fine tune Periapsis and Apoapsis. In a real-life scenario, would function as a comm. satellite. 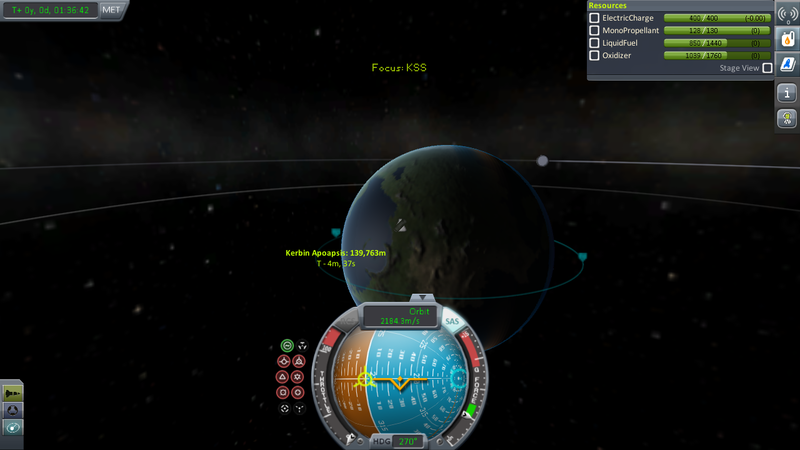 Launch Goals: Our hope for this launch is to get our satellite into geosynchronous orbit with kerbin, accomplishing the first two satellite milestones. 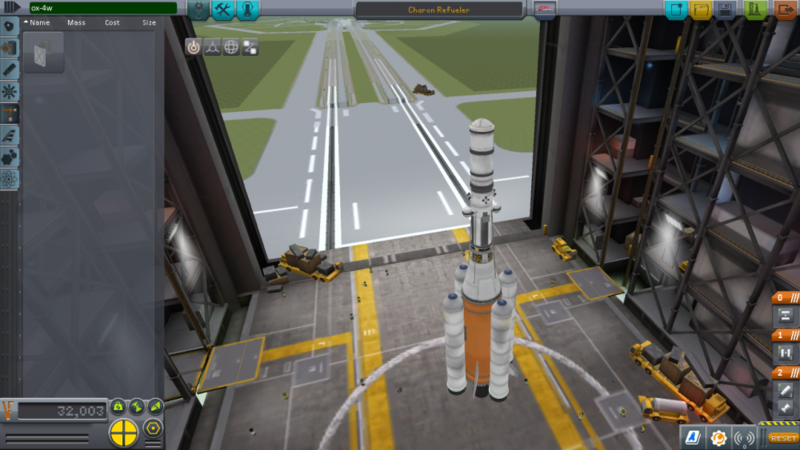 After this, our next goal will either be to setup a space station, or reach the mun. Pilot Plan: Use the solid fuel thrusters and large liquid thruster to exit atmosphere. Detach solids once fuel runs out. Use large liquid thruster to get rocket into eastward low-kerbin orbit (70,000+ m), and use remaining fuel to extend the orbit further out. Detach large liquid fuel thruster, switching to the small liquid fuel thruster. Using small liquid fuel thruster, conduct a Hohmann Transfer by burning prograde at the periapsis until apoapsis is at ~2,863,333 m, then cut thrusters and wait until rocket hits apoapsis. At apoapsis, burn prograde until periapsis is at ~2,863,333 m. Use liquid fuel & manually controlled RCS thrusters (detach liquid fuel once out) to fine tune orbit. Solar panels and antenna set to extend with light key. Summary: Overall, a successful mission. While our expert pilot did make a few mistakes that extended our total flight time by a few in-game hours, the flight went off without a hitch. There were no explosions, everything operated smoothly, and there's still enough fuel on the Hyperion to make adjustments should the need arise. We achieved two milestones on this launch: First working satellite placed in stable orbit - $80,000, and First working satellite placed in geosynchronous orbit - $100,000. Learnings: It is relatively simple, and not very costly to get an object into orbit. 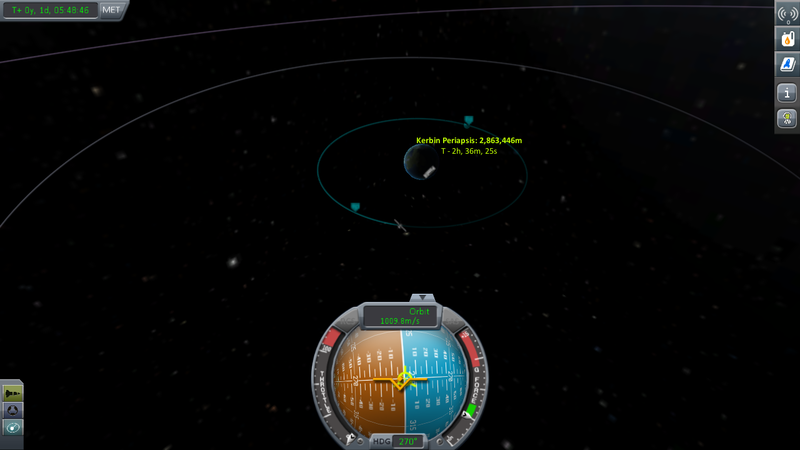 It should be extremely simple to force an object into orbit in such a way that we make quick contact with the mun. Strategies: Our next goal is to either put up a manned space station, or to get a kerbal to the mun. If we put up the space station first, that could create a very simple stopping point mid-flight to refuel and store crew to prevent excessive death in case of catastrophe. Milestone Awards Presented: First working satellite placed in orbit - $80,000; First working satellite placed in geosynchronous orbit - $100,000. Launch Goals: For this launch, we are planning to get a manned space station/refueling station into low kerbin orbit, and have the ability to dock with it at a later time. Our next flight will consist of us sending up a second fuel tank to dock with our space station and expand our refueling capacity. Pilot Plan: Use stage 1 until radial tanks are empty, then use stage 2 for high altitude maneuvers and finalizing the orbit placing the space station in a equatorial orbit of around 120km. Once the station is in the desired orbit, jettison stage 2 along with the engine after transferring any remaining fuel to the onboard tank. 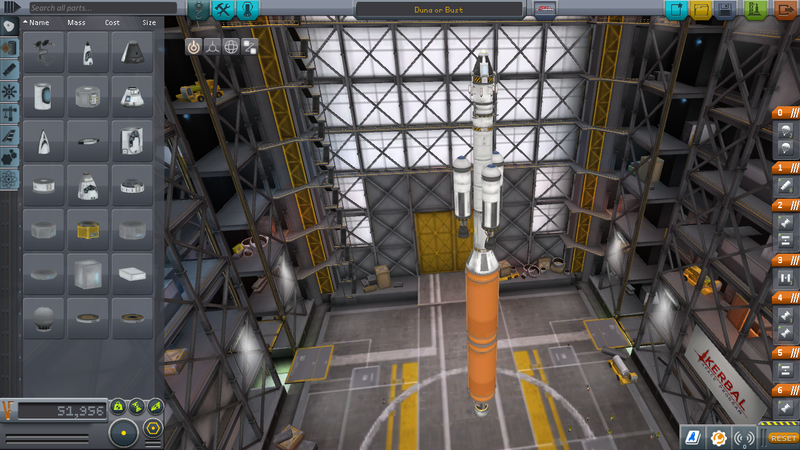 t+ 14:20 Transferred liquid fuel and oxidizer into the storage tank. Unfortunately not enough to fill it up. Summary: For getting our manned space station into orbit, our plan was an overall success. There were no major problems during this launch (surprisingly), and we expect the space station to remain stable permanently. Our only regret is that there wasn't enough fuel leftover in the rocket to fully fuel our refueling station half of the station. Project Timeline: Our next flight remains as an attempted docking with our space station, with the notable exception that, instead of already being fueled, we will be attempting to refuel our space station during the launch. Great job. Looking forward to hearing about the docking mission! 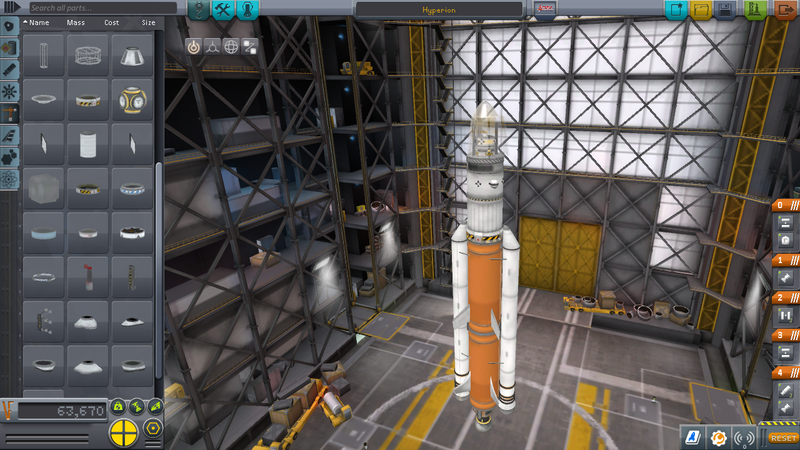 Design Goals: The Charon Refueler Rocket is designed with the sole purpose of providing the precise amount fuel needed to refuel the Kerbinational Space Station. With four solid fuel booster meant for exiting the atmosphere, and one orange liquid fuel tank, our hope is that this will allow the Charon to dock with and refuel the KSS. Launch Goals: Our goal is for the Charon Refueler will be able to both dock with and fully refuel the Kerbinational Space Station, providing approximately $1,000,000 in funds. With these funds, we aim to design a rocket that can land on either the mun or minmus and safely return. 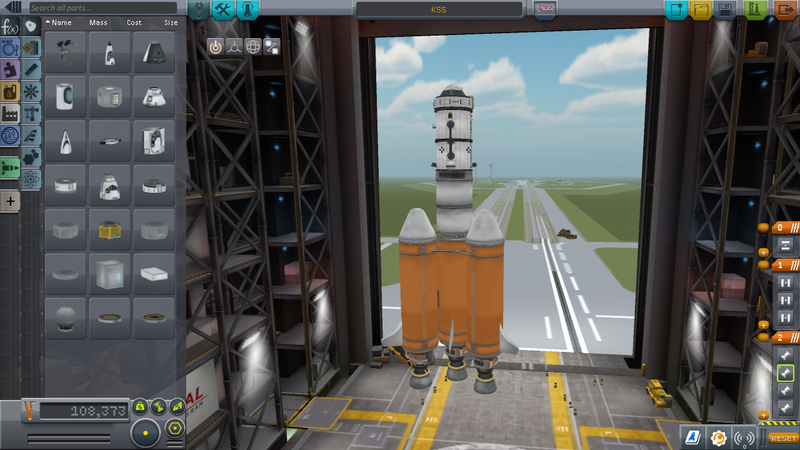 Pilot Plan: Use the solid rocket boosters to gain altitude, and then jettison them once empty. Stage 2 will be used for circularization as well as the rendezvous with the KSS. 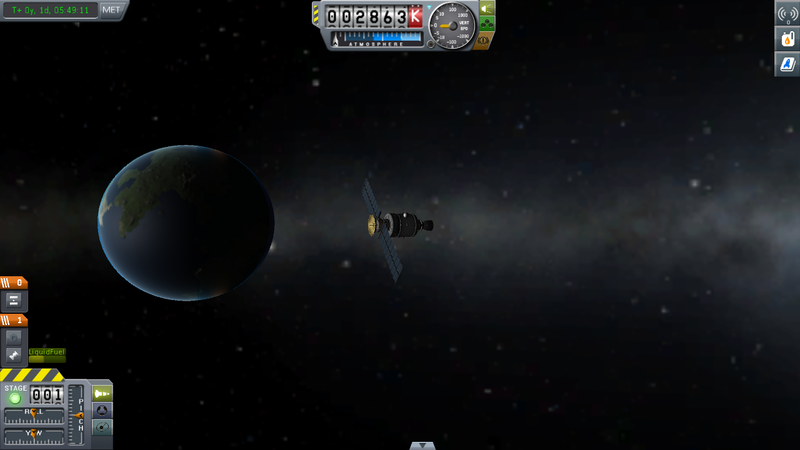 Once it's out of fuel, it will be jettisoned and the RCS will be used to maneuver for docking. Definitely worth doing a bit of research on orbital maneuvering and how to dock... it's not particularly straightforward. Design Goals: The Duna or Bust Interplanetary Travel Rocket Is perfectly designed for a single Kerbal manned flight to the red planet, Duna. 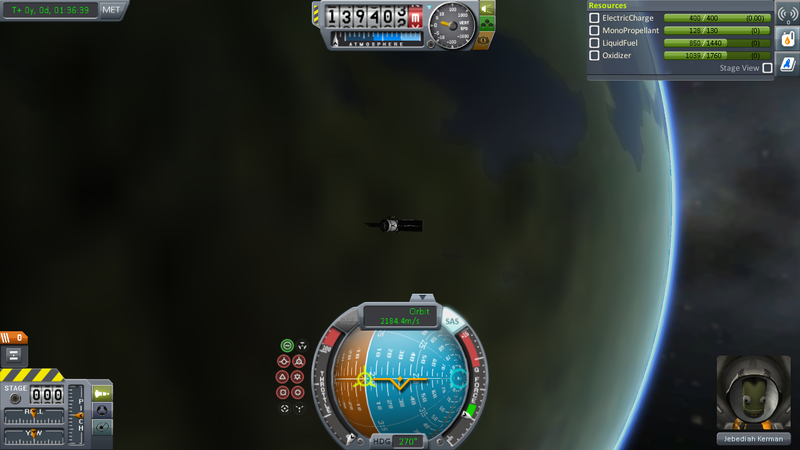 With it's high efficiency atomic "Nerv" engine, the DBITR is able to easily and safely encounter and enter circular orbit of not only Duna, but most planets relatively close to Kerbin. With safety in mind, we've added multiple emergency thrusters and parachutes in order to counteract any high velocity landing path. Launch Goals: Our major goal for this final launch is to get our pilot, one Bill Kerman, to Duna in order to plant flag eulogizing the Kerbonaut lost by a rival space flight company. Pilot Plan: We'll first exit Kerbin's atmosphere using the Rockomax tanks and "Mainsail" engine with a west to east cicular orbit. 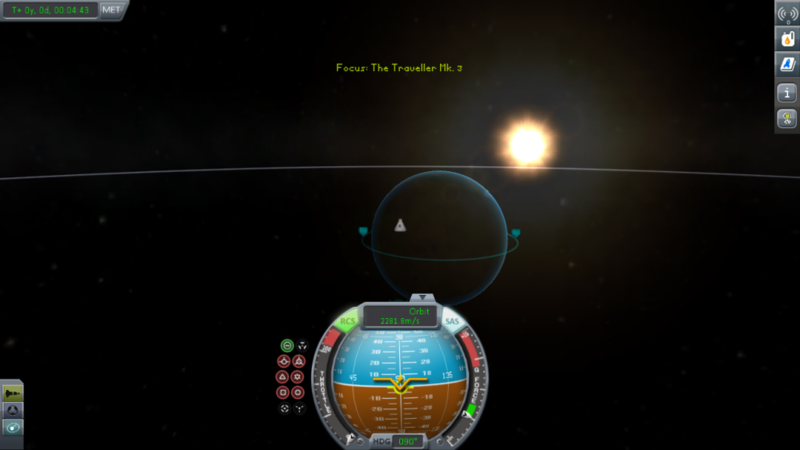 Once out of the atmosphere, we'll circularize the orbit at a low altitude, and begin plotting a maneuver for a Duna encounter. We'll then use our remaining fuel in the Rockomax tanks to escape Kerbin's gravity, and At about this time, we'll likely have to switch from our "Mainsail" to the atomic thruster, which we'll use to fine tune the encounter with Duna and match the inclination. Once on course for a Duna encounter, we'll use the atomic thruster to perform a retrograde capture burn, and perform several Hohmann Transfers in order to enter an orbit in high Duna atmosphere in order to aerobrake. About here, we'll use the remainder of our atomic fuel in order to cut as much of our velocity as possible, and enter the final stage. We'll activate our chutes at around 15,000 m, and use our seperatrons in a latch ditch effort to cut any remaining velocity. Very interesting approach -- looking forward to seeing how the final flight goes!